NEW YORK (KTRK) -- It was awards night in the NBA. 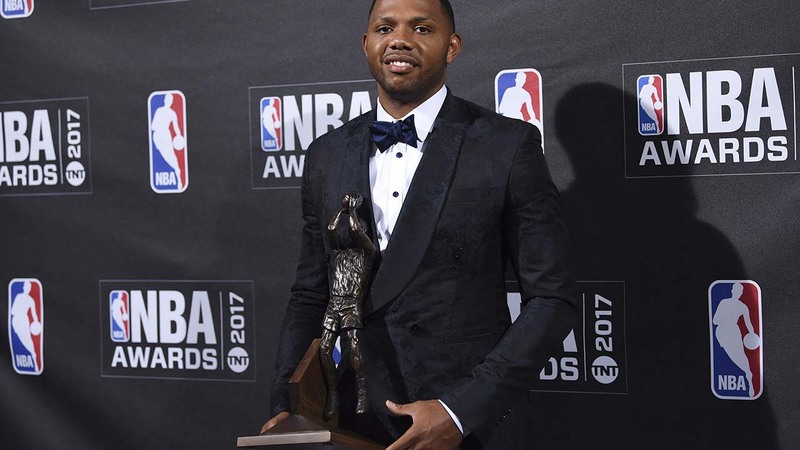 Houston guard Eric Gordon won the Sixth Man of the Year award in his first year as a reserve. Gordon beat out Rockets teammate Lou Williams and former NBA Finals MVP Andre Iguodala for the award given to the league's top player off the bench. Gordon set an NBA single-season record for most 3-pointers off the bench, helping the high-scoring Rockets make more shots behind the arc than any team in history. Mike D'Antoni was then voted Coach of the Year, the second time he has won the award. He led the Rockets to 55 victories and a league record for 3-pointers this season. 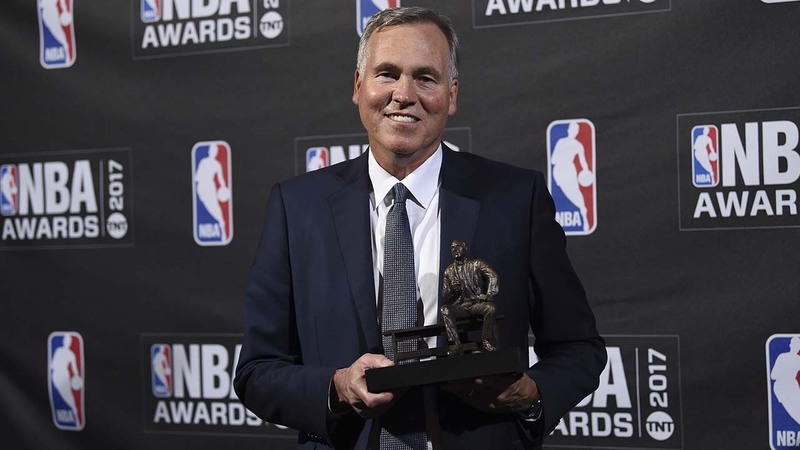 D'Antoni, who also won the award while coaching Phoenix, followed Rockets guard Eric Gordon's win for Sixth Man of the Year.